Work on the Pacific Paradise continues and the unified command has contracted Resolve Marine Group with support from several other experts to conduct the removal of the pollution threat. "The combined experience of the team we have working this challenge is impressive and the effort they've put in to develop this wreck removal plan is significant," said Captain of the Port Capt. Michael Long, commander, Coast Guard Sector Honolulu. "This response is a dynamic and constantly evolving process with many factors to consider and it will take some time to complete. 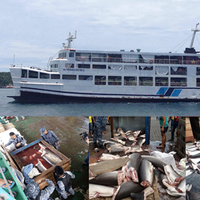 Philippine fishing authorities said on Tuesday they had detained 25 Chinese crew of two seized fishing boats on suspicion of poaching, a move that could further strain ties between two countries at odds over maritime sovereignty. 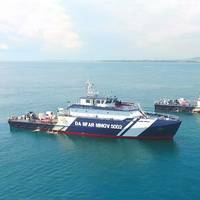 A joint team from the Philippine coastguard and the Bureau of Fisheries and Aquatic Resources (BFAR) captured the Chinese vessels on Monday sailing without permits between waters off Babuyan Island and Batanes province in the northern Philippines. The Chinese vessels were in waters that are not part of the disputed South China Sea, which China claims almost entirely. Brunei, Malaysia, the Philippines, Vietnam and Taiwan also have conflicting claims. 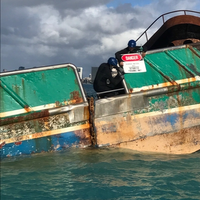 Coast Guard Sector Honolulu received an official request from the Hawaii Department of Health to assist with the response to the molasses spill in Honolulu Harbor Friday. “The Coast Guard is prepared to bring all the requested resources to this incident to support our state and local partner agencies” said Capt. Shannon Gilreath, captain of the port Honolulu. “We have been working closely with state partners since the spill occurred to offer advice and resources. The Coast Guard began supporting the response Monday morning when investigators from Sector Honolulu responded to a report of discolored water in the harbor. Since then, the Coast Guard has held daily meetings with the lead State agency, Hawaii Department of Health. State officials in Hawaii consider there's little they can do to clean up a 223,000-gallon molasses spill that has killed thousands of fish, as swimmers, surfers and snorkelers were being warned that the massive die-off could attract sharks. A cracked pipe on a loading jetty caused the spill, according to NPR. The request for federal assistance allows the Coast Guard to support the lead agency with a wide variety of resources to include specialized response personnel, boats and equipment from the Coast Guard and other Federal Agencies. The captain of the port requested support from the Coast Guard’s National Strike Force for water sampling and monitoring and is currently coordinating with technical specialists from the EPA to help assess additional response mitigation strategies. 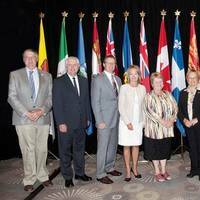 Federal and provincial Ministers have concluded the annual meetings of the Atlantic and Canadian Councils of Fisheries and Aquaculture Ministers, commit to working together to protect fisheries and develop Canadian fishing and aquaculture industry. Ministers discussed a range of topics, including recreational fisheries, the lobster fishery, the continuing importance of the seal hunt to Canadian coastal communities, the federal Fisheries Protection Program, aquaculture, and aquatic invasive species. 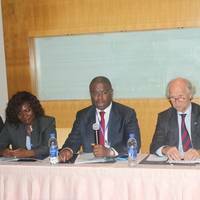 The challenges and opportunities facing the recreational fisheries. 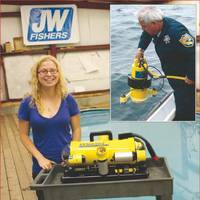 More universities and environmental groups are using underwater video systems to assist in their research and monitoring operations. These cameras can be very useful tools in studying benthic habitats and marine organisms, and to monitor the impact of pollution on the environment. Darling Marine Center is the marine laboratory at the University of Maine. Home to world renown research and education, the facility is situated on the shores of the Gulf of Maine with its diverse intertidal habitats. 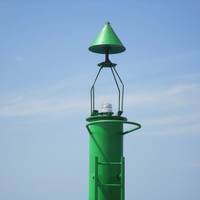 Tideland Signal, an international specialist in aids to marine navigation, has won the contract to supply SolaMAX solar-powered marine lanterns to guide vessels safely through the reef and into the new fishing harbour of Dikkowita on the west coast of Sri Lanka, 10 km to the north of Colombo. 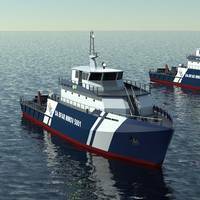 The new harbour is designed and built by BAM International bv for Sri Lanka's Ministry of Fisheries and Aquatic Resources Development under a €44 million contract funded in part by the Dutch government. Engineer on the project is Royal Haskoning. It has been more than 16 months since the Deepwater Horizon incident on April 20, 2010 which resulted in the deaths of 11 and injuries to 17 men working on the platform and the discharge of approximately five million barrels of oil. The well was finally capped on July 15, 2010 yet the Joint Coast Guard and Bureau of Ocean Energy Management Regulation and Enforcement (BOEMRE) Investigation final report (Joint Investigation) has not been completed and released to the public. In addition, Congress continues to wait until the final results are released to make its own assessment of what legislation should ultimately be enacted and the complex litigation will be with us for years. German Shipping Company Sentenced in Puerto Rico to Pay $800,000 Penalty for Intentional Cover-Up of Oil Pollution. WASHINGTON – Uniteam Marine Shipping GmbH, a German corporation, was sentenced in federal court in San Juan, Puerto Rico, for violating the Act to Prevent Pollution from Ships (APPS) and making false statements to the U.S. Coast Guard, announced Assistant Attorney General Ignacia S. Moreno and U.S. Attorney Rosa Emilia Rodriguez-Velez. The company was sentenced to pay an $800,000 criminal penalty, to include a $200,000 payment to the National Fish and Wildlife Foundation to fund a community service project in the District of Puerto Rico. April 25, 2011—The North American Marine Environmental Protection Association (NAMEPA) will present its Environmental Intelligence in Shipping Seminar Series in Seattle on May 25th at the Bell Harbor Conference Center beginning at noon with lunch. The seminar will explore many of the environmental issues facing the Port of Seattle in its centennial year, including air emissions, storm water runoff, marine life habitats, and lessons from the Deepwater Horizon incident. “Seattle has been one of the most proactive ports in North America,” stated NAMEPA Co-Founder Clay Maitland. Divers from the State of Hawaii Department of Land and Natural Resources and the U.S. Navy have been working cooperatively over the course of this week to assess the extent of the grounding scar from USS Port Royal (CG 73) and to undertake emergency restoration activities on the impacted reef. Meanwhile, the guided-missile cruiser entered drydock at Pearl Harbor Naval Shipyard Feb. 18 to repair damage sustained when it ran aground the night of Feb. 5 a half-mile off Honolulu Airport's Reef Runway. After three unsuccessful attempts, the Pearl Harbor ship was refloated early Feb. The U.S. Maritime Administration (MARAD), the National Oceanographic and Atmospheric Administration (NOAA), and the U.S. Fish and Wildlife Service are jointly requesting proposals for ballast water technology demonstration projects. 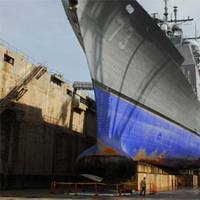 Nearly $2.1 million, and/or the use of MARAD’s Ready Reserve Force ships as test platforms, will be made available for successful proposals. Interested parties may apply for funding, for use of a vessel, or both. Every day, large quantities of ballast water from areas all around the world are discharged from ships into the waters of the United States. In this ballast water are plants, animals, bacteria and pathogens that are not native to our nation’s ecosystems. Some of these organisms are microscopic; others may be large plants or free-swimming fish. The Port Authority announced today that it has received approval from the Army Corps of Engineers to deepen a section of the Kill van Kull to 50 feet, launching the agency’s ambitious $1.8 billion project to dredge the region’s harbor channels to 50 feet and maintain its ranking as the leading East Coast destination for shippers from around the world. Under eight separate dredging contracts, the Corps and the Port Authority are working together to deepen the Kill Van Kull from 40 to 45 feet. In the near term, the Corps’ new action will allow the Port Authority to augment one of those contracts to deepen a section of the Kill van Kull around Bergen Point to 50 feet.